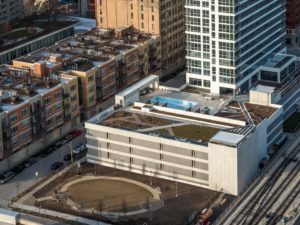 The near South Loop neighborhood has a brand new, luxury apartment building available for immediate move in! 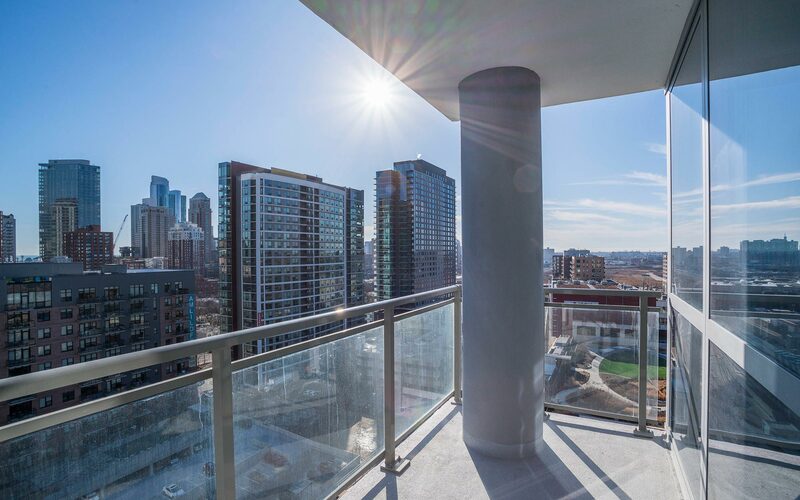 Alta Roosevelt, a tall, glassy tower, offers residents premier luxury with state-of-the-art amenities for residents and guest alike to revel in. Thrive in the high-end, contemporary apartment homes featuring unparalleled comfort. 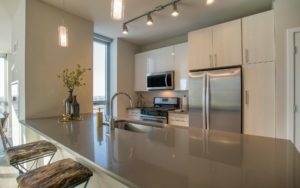 The units boast expansive, floor-to-ceiling windows allowing incredible city views, custom lighting, and private balconies. 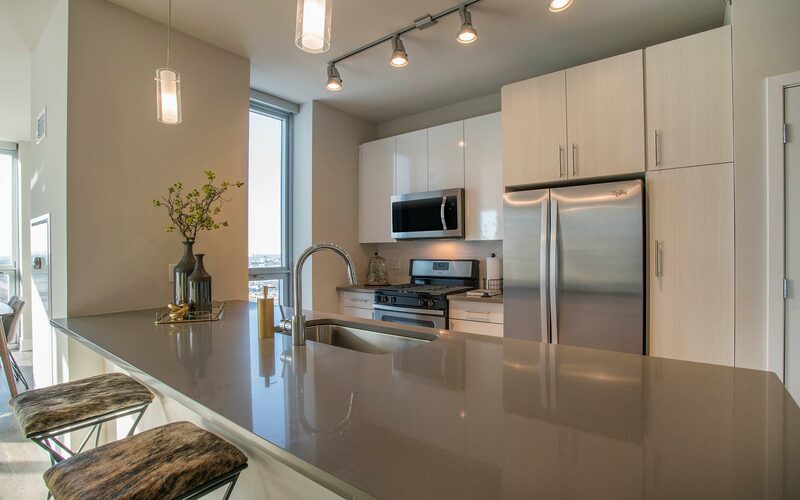 State-of-the-art kitchens are elegant with pristine quartz countertops and stainless steel Whirlpool appliances. The massive soaking tubs are the perfect place to relax at the end of a long day. Alta Roosevelt also features extensive luxury amenities. Work out in the full fitness center or yoga studio. Enjoy the rooftop resort-style pool, perfectly completed with cabanas and lounge chairs. There is an incredible entertainment space as well, a perfect extension of apartment living space. Residents also have access to a private bar area. Alta Roosevelt also includes a full theater experience and an on-site coffee shop; perfect for when you’re on the go! The near South Loop neighborhood has tons to offer and is the perfect place to call home. Home to museum campus (Shedd Aquarium, Field Museum, and Museum of Science and Industy), delicious dining experiences and wonderful parks there’s no doubt why this neighborhood stands out among many! Enjoy the amazing Millennium and Grant Parks as well as the Grand Park Bark Park for your furry friend! The near South Loop neighborhood also offers beautiful lakefront area’s to enjoy during the warm, summer months. 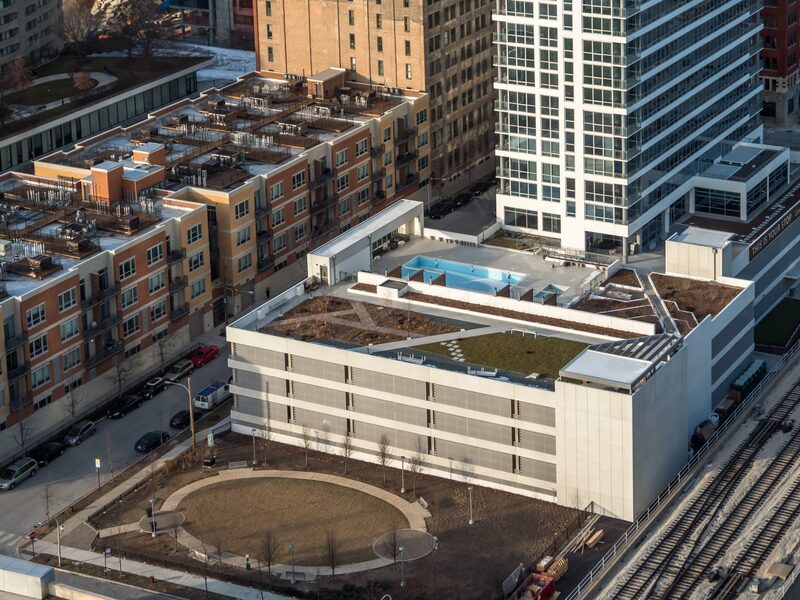 Looking for luxury apartments for rent near the South Loop? Contact us today! We’d be happy to keep you in the Loop!